Volleyball Serve Receive What Happens When Your Team Is On Offense? What Happens When Your Team is On Offense? Volleyball serve receive, what is it? At the beginning of a rally one team serves the ball and the other team does not. The team that is not serving has to "receive the serve. " A team that's "receiving the serve" is the team that's in "serve receive." The team on the left is the serving team on defense while the team on the right is in serve receive. Once they "receive the serve" they will run their offense in an attempt to score a point against the defensive team. Once a team has served the ball into the opposing team's court, the opposing team, also known as the team in serve receive, has three contacts to get the ball back into the serving team's court. How does a player pass in volleyball serve receive? The first (of the three) contacts is called a pass, traditionally taken underhand with both hands clasped together, one fist inside the other and with both thumbs pointed to the ground. 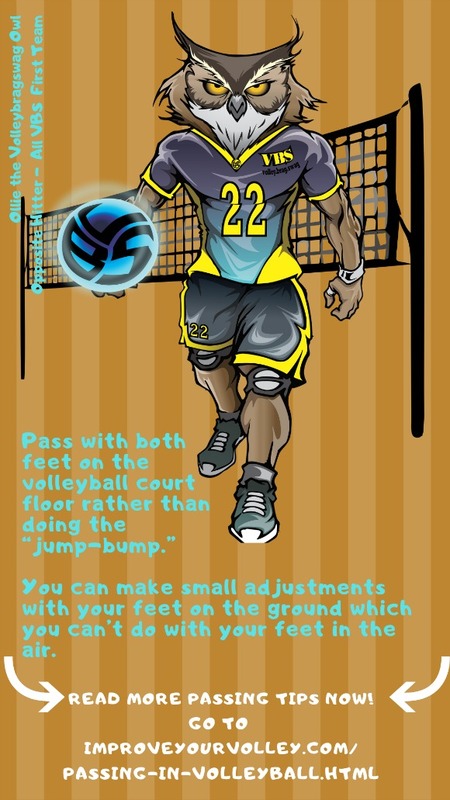 The volleyball pass is performed by a player who "receives" the ball after being served by the server on the serving team. 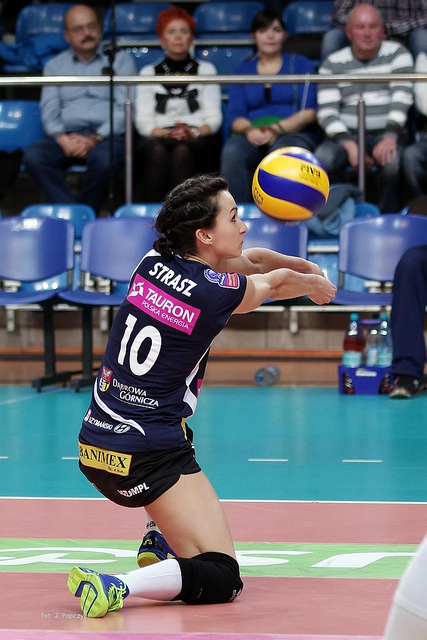 Usually in the back row, the passer uses the pass to transfer the ball ..from where she is...to the setter without catching the ball or without letting it come to a complete stop on her arms or in her hands. 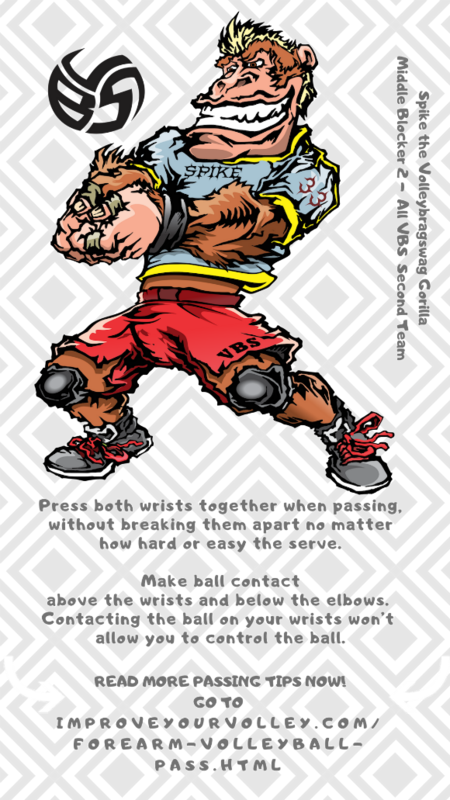 That passer makes the first of the three contacts allowed to each team according to basic volleyball rules. "Neutralizing an opponent's serve is one of the most effective ways to win volleyball matches consistently. 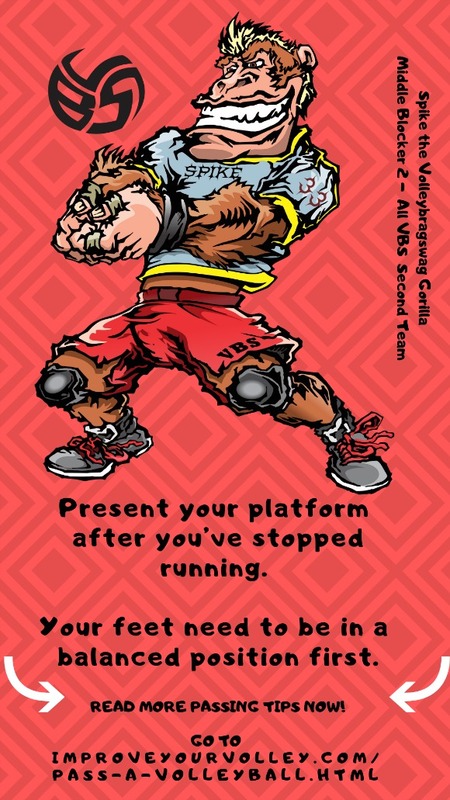 Here are 10 tips to maximize your squad's serve reception." -April Chapple for Active.com "10 Serve Receive Tips"
That first contact has a name. 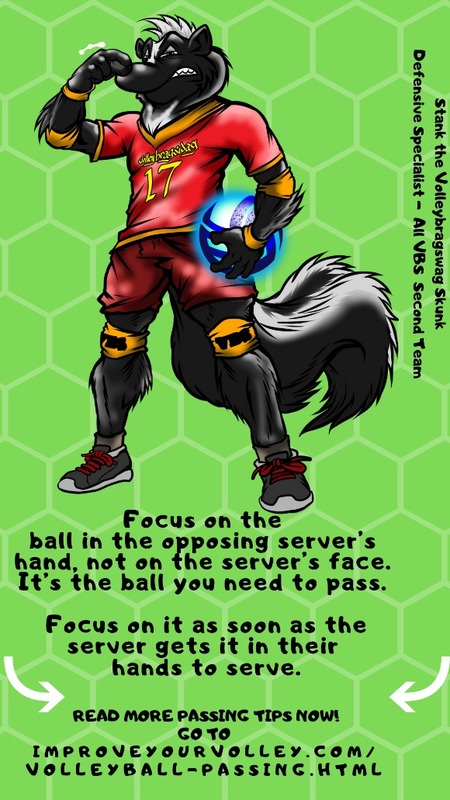 It's known as "passing in volleyball". That player is the one who's "passing the ball" up to the setter, who's responsible for making the second (of the three) contacts. The setter then overhand "sets" the ball to any one of three to five possible attackers on her team (two or three in the front row depending on the team's rotation and two in the back row). These hitters are responsible for making the third contact, which is described as a hit or spike. According to basic volleyball rules this third contact needs to go over the net, crossing it and landing anywhere in the opposing team's court. If it doesn't then the team in serve receive earns the point and gets the ball to serve. Now the team that was on offense (in serve receive) is now on defense and gets to serve the ball. 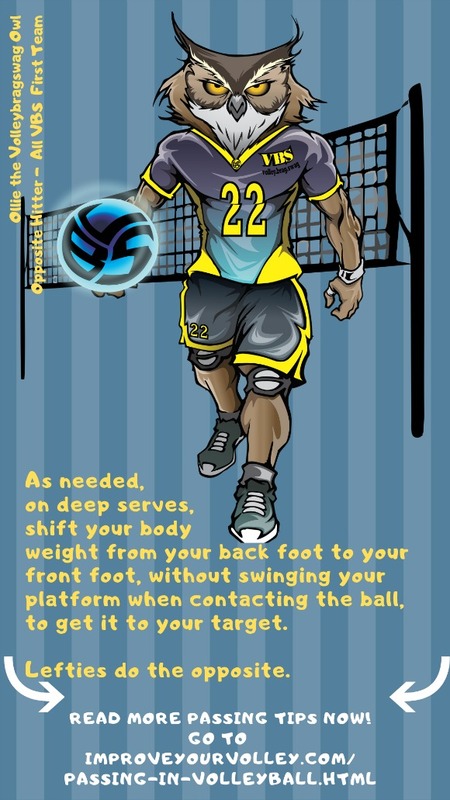 In my article "11 Ways to Sharpen Your Serve Receive Game" for Active.com players learn how to improve their passing while in serve receive. Service reception, or for a team to be "in serve receive" means the non-serving team is on offense, ready to "receive the serve" from one player on the defensive team who's in the service zone serving the ball. The player who is about to serve the ball must be behind his/her teams' service line and according to most volleyball rules has 8 seconds to serve the ball into the "receiving" team's court, after the referee has blown the whistle to start the rally. 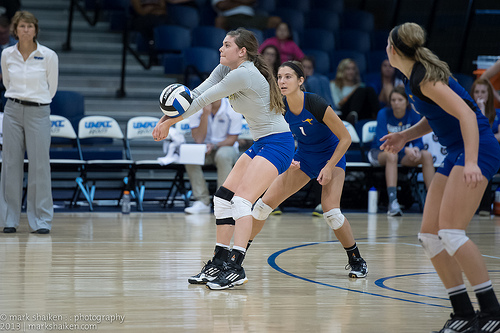 Learn more about volleyball offense, attacking and serve receive in the Related Links below. 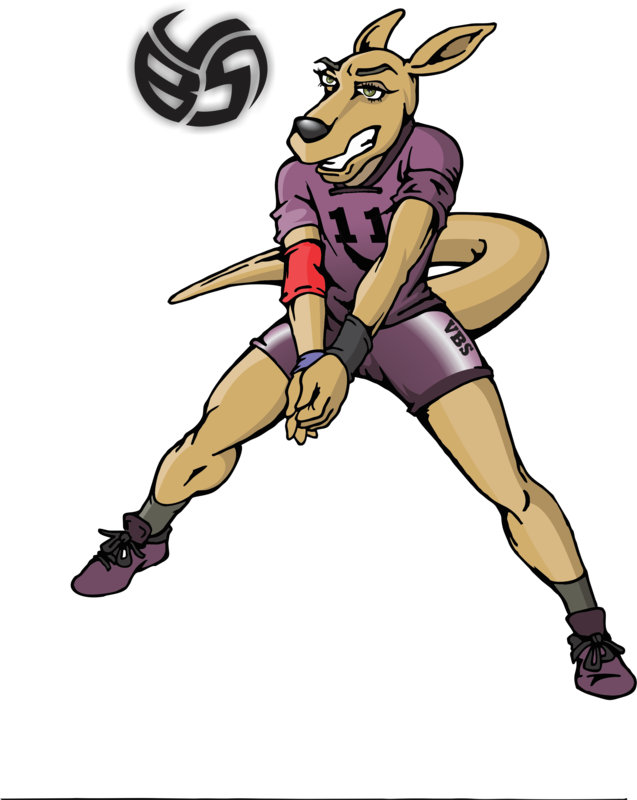 Before leaving this page Say "Hi" to Mr Resee the Kangaroo, wearing the #11 jersey below. 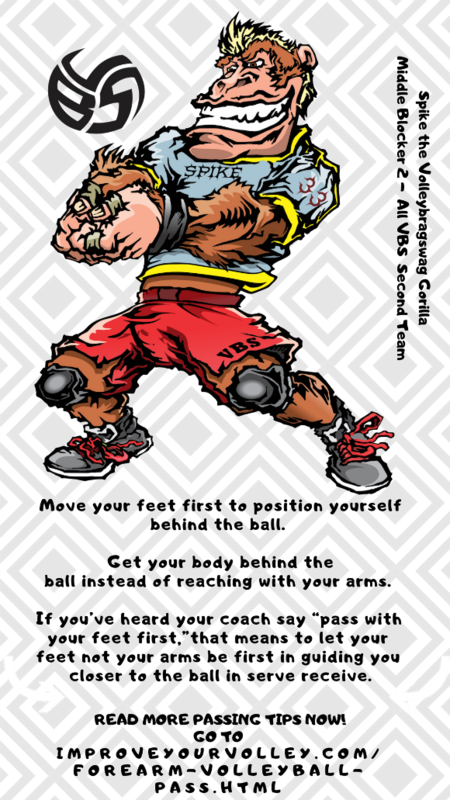 He's another defensive specialist and team captain for the VolleyBragSwag All Beast team.